I thought this book would be a great way to learn more about Black History and what this month represents. Black History month represents what this book explains and is written about, it goes into the goods and bads of life then and the hardships and how people got through it all to teach the ignorant. This book began with an introduction to the author and why she wanted to write this book, this inspiring story of actual happenings. She explains how her father worked at NACA (Nation Advisory Committee for Aeronautics) much before NASA was even thought up and the history of the whole department and it’s people and workers and it’s triumphs and failures. Margot Lee Shetterly explains life during the time her father worked there and the time after. She goes deeply into the history of the women mainly in this story, not just white women, but the black women. How the desperation for women in the field of mathematics took hold in the 1940’s because the men were at war in Europe, women needed to help not only with the factories but also with the higher held job most women were never considered for before. The idea of equality throughout this book is ever prominent from the beginning with people like Dorothy Vaughan, Katherine Johnson, and Mary Jackson. We follow these women through not only their occupational lives, but their private ones, following success, love, and progress along with failures, losses, and setbacks. The setting is from the beginning of the second world war all the way to the end of the space race with the national accomplishment of getting a man on the moon and how these women held some of the biggest roles possible in achieving it. The message behind this novel is ever present, and will ever be present though our lives, such as today with equality being set back with Trans kid’s rights in school. This book tells not only of women working towards a goal to beat out Russia to Space and to defeat Germany in aeronautics but also defeating the prejudice against black men and women. This book is an inspiration and teaches so much about the civil rights movement during the 1960’s and the leading up to the movement with protests, sit-ins and other forms of peaceful rebellion. We go in depth into the Jim Crow laws that lead the land in the south, and how states such as Virginia kept to their sorrowful ways through neglect of the national laws as well as finding specific loopholes. This book kept me interested from the beginning, I am not a usual fan of non-fiction works, but this takes the cake for some of the most interesting I have read. Shetterly has some way of changing what would usually seem average and boring into something interesting and something I would want to continue. She goes into the lives of the women before their job upgrades in the 1940’s and I could not stop reading: she gives not stagnant descriptions, but descriptions to keep you intrigued and able to picture what was happening and the area it was happening in. Another great thing about this book is that it spans over such a long period of time, but changes the frame ever so subtly through chapters that you know where you are in time and what is happening clearly. You never get stuck on the mathematics of the book, or the scientific areas, there is no jargon to speak of I believe, just the main theme, maybe just a bit about Martin Luther King Jr. being a trekkie, but other than that it sticks to the point. I never really considered reading non-fiction thinking it boring and repetitive, but after reading this it made me want to read more about subjects such as this. I want to know more about the civil rights movement and the unspoken heroes of it. These women need more recognition for what they have succeeded in doing and so do all the others who have helped with the movement to help free America of the slavery of ignorance and intolerance. Read this book, even if you think non-fiction is not your cup of tea or whatever. Read it for the knowledge and the history. Hidden Figures gets a 5/5 from me. 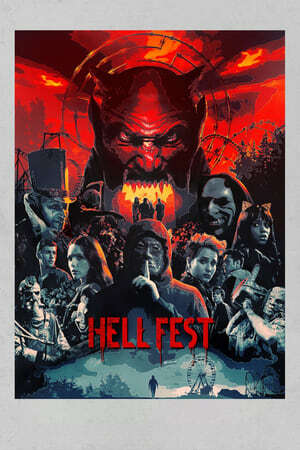 download movie Hell Fest, live streaming movie Hell Fest online, live streaming movie Hell Fest 2018, download full film Hell Fest, movie Hell Fest streaming, Hell Fest live streaming movie, watch full Hell Fest 2018 movie, Watch Hell Fest 2018 For Free online, watch movie Hell Fest online now, Watch Hell Fest 2018 Online Putlocker, Hell Fest movie trailer, Watch Hell Fest 2018 Online Free 123movie, Watch Hell Fest 2018 Online Free Putlocker, Streaming Hell Fest 2018 For Free Online, Hell Fest 2018 Watch Online, download movie Hell Fest 2018 now, Hell Fest 2018 movie download, Watch Hell Fest 2018 Online Free megashare, streaming Hell Fest film, Watch Hell Fest 2018 Online 123movie, Watch Hell Fest 2018 Online 123movies, Streaming Hell Fest 2018 Online Free Megashare, Watch Hell Fest 2018 Online Free, Watch Hell Fest 2018 Online Free hulu, Watch Hell Fest 2018 Online Megashare, Hell Fest live streaming film online, Watch Hell Fest 2018 Online Viooz, watch Hell Fest movie online now, Watch Hell Fest 2018 Online Free netflix, download full movie Hell Fest 2018, Hell Fest film, watch full Hell Fest 2018 film online, Watch Hell Fest 2018 Online Free Viooz, Hell Fest 2018 live streaming film, movie Hell Fest download. Happy Valentine’s Day Everyone! Nothing better on Valentine’s day than a satirical mockery of love! And by that I mean probably the most famous Romance book of all time: Pride and Prejudice by Jane Austen. We begin this novel with the famous line “It is a truth universally acknowledged, that a single man in possession of a good fortune, must be in want of a wife.” And nothing can summarize this novel as such. This book follows the main character, Elizabeth Bennet, through her life as a daughter of a moderately wealthy father who has few connections. She, as it seems all of the single women in the early 1800’s, is in want of a husband along with all her four sisters. Men came and went throughout the novel, cousins(ew I know but it was normal), friends of friends, fathers, officers, anyone and everyone. There were balls and get togethers and sports and a LOT of card games. Wow, so many that I have never heard of. But the book overall was a great read and kept me intrigued throughout. Some great things about this book is that it follows a consistent theme of love, but not the normal love we know now, but a sad replacement. Other than this it also shows the fact that that is not what all women want or hope for in life, that there is more to it. This novel visualizes the independence of women during the period and what they did in their free time, their care for their family, and so much more. We constantly see Elizabeth going out of her way to help her family(mainly her sisters), go to public events, traveling, and getting away from wanting men, which I think is great. The total avoidance of the idiots of the time made me love the book more, Elizabeth really made the book what it was with her sarcasm and her pride[and prejudice]. The characters were no maych for such a brilliant woman. Another thing you may want to know is that this book is the most satirical viewpoint of love you will ever read, the whole idea of it is so funny, it follows failures in love, worry about love, hopeless, unrequited love, pathetic love, and stupid 15 year old love, I guess that’s funny coming from a 15 year old, but jeez, Elizabeth’s sister man… One conflict of the story is love, but it is a funny love, a love that isn’t even love, it’s literally hatred from the first time they met. The fact that they got together in the first place shows how Jane Austen sees love, it shows her view on the love of the time and she made fun of it blatantly showing how ridiculous it was. People don’t fall in love in minutes and propose, rather they get to know each other and actually learn to care for one another, it’s meaningful. There is a great example at the end of the book for this and I can’t believe I can’t spoil, but you’ll just have to read it. Finally though, I would recommend it to anyone who genuinely loves 1800’s literature, women and histories regard toward them, and satirical and sarcastic writing. This book is a definite 4 out of 5 stars and I really want to read more by Jane Austen. 5 stars: I loved this book and everyone in the world should read it. The Boy in the Striped Pajamas is a story about a nine year old boy, Bruno, who lives in Nazi Germany as a Nazi Commandant’s son. He is eventually relocated from Germany to Poland due to his father’s job and is housed in a small, underpopulated area named Out-With (Auschwitz). As a nine year old, he is naturally curious and loves to adventure. Because of the small magnitude of his own house, he must go outside and see for himself what it is about this place that makes him hate it so. Eventually, after about an hour of walking along the large barbed fence, he sees something… It appears to be a dot, then a speck, now a blob, or is that a figure? yes! It’s a boy. This boy’s name is Shmuel, and he is Jewish. This novel is very interesting, the story itself is lacking in the plot department, but the characters are really what make it a good read. I thought the perspective was an interesting change in pace from the Holocaust survivors to the actual Nazi’s children, but this is an awfully popular book topic so I have read something similar to it before. Other than this, the book in a whole had a good message about it. It reminds us that no one is born evil and that the environment in which one grows up effects how they see the world. Some reasons I think the plot of this book can be better: there is no plot… none at all, the whole story is in a nine year old’s head and it can get very frustrating reading a story about how someone doesn’t like their sister. Some improvements that could be made are that the author could have included some conflict. The book’s only conflict is at two points: when Bruno’s sister, Gretel, finds out about Shmuel (she finds out because Bruno accidentally told her), and when Shmuel is (for some reason) at Bruno’s house cleaning dishes and Bruno sneaks him food, with Shmuel worrying about his Nazi guard finding him eating with Bruno. The ending can be seen as the conflict, but it only lasts about 15 pages out of 216 so I wanted more. The characters of this story are actually relatable and honest to the history. It makes people like them more. I only really liked two characters though: these two being Shmuel and Bruno’s grandmother. (This is just one reason I like Shmuel)Shmuel constantly talked about how horrible ALL of the soldiers were and when Bruno contradicted him, saying his father was good, Shmuel corrected him and said all the soldiers are bad, I wanted to hug him. The grandmother was great too, she blatantly disowned her son for being a Nazi commander and never talked to him again before she died which I thought was amazing and respected her for stating this out loud, in public, in NAZI GERMANY! Again, the message of this book is great too, reminding us that no one is born evil and that the environment in which one grows up effects how they see the world. The fact that Bruno hadn’t been taught thoroughly about the Fury’s(Fuhrer’s) plans gave him the chance to sympathize and be innocent. He could love people that he saw no reason to hate. What is emphasized in this child is so important as to how people should live their lives traditionally, to not hate others because it is the status quo but to love them. It is so much easier to love others than it is hate them, hate takes energy and fury while love takes acceptance and gives peace. I think some people need to read this book more than others and realize that hate or even support of hate is wrong and leads to horrible, viscous things. Read the Quote of the Week, it’s relevant. “Of course all this happened a long time ago and nothing like that could ever happen again.